The Christ Child Society of Pasadena invites its members to contribute money annually to the Christmas Stocking Fund. On-line donation options are on our “Donate” page, (see the top menu,) and you should have received a solicitation via mail. 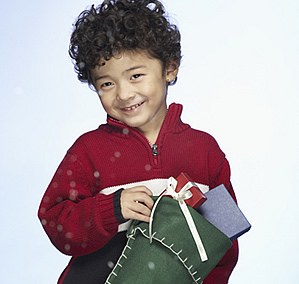 This benefits low-income families that would otherwise be unable to purchase Christmas gifts for their young children. Each year, our Parish School principals submit the names of families in need. We purchase Target gift cards with the funds raised by our letter appeal. In December 2018, we raised over $20,000 through the Christmas Stocking Fund and we were able to serve all requests made by the schools and organizations in the San Gabriel Valley of Los Angeles County. We continue to be humbled by the generosity of our members!